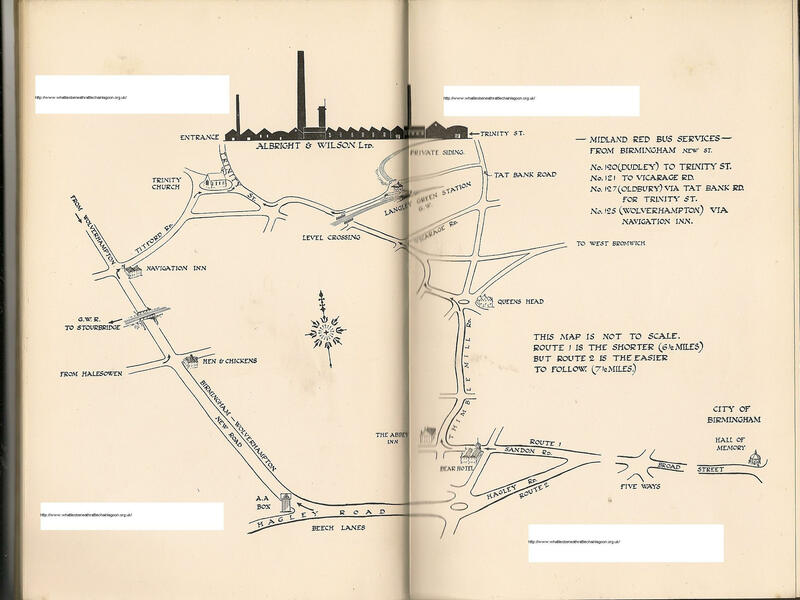 Like the surrounding canal system, rail freight has been part of the story concerning how toxic chemicals entered and left the Oldbury area by gaining access into the heart of the Trinity Street works. 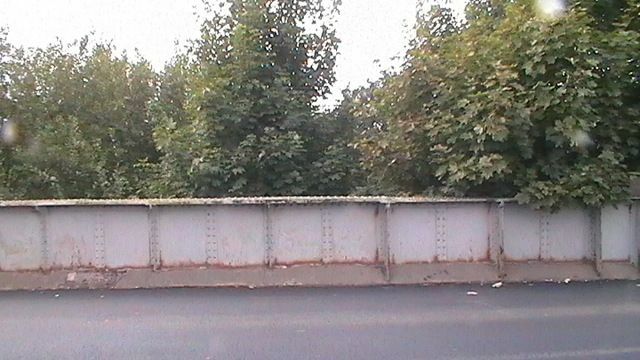 1879 saw the creation of a branch line by the by the Great Western Railway company to connect Langley Green with the L.N.W.R line at Oldbury. Not surprisingly Albright and Wilson benifitted by killing two birds with one stone. A large gypsum mound dump, which came from their early phosphorus manufacture was sold by them in 1883. The line cut through the mound with the spoil forming the embankment. Not surprisingly the Albright and Wilson families cemented their fingers in the pie of the deal as usual. John Wilson, (son of the co-founder and an MP for many years), became a director at GWR in 1908 as well as being chairman of the chemical company between 1915-1932. 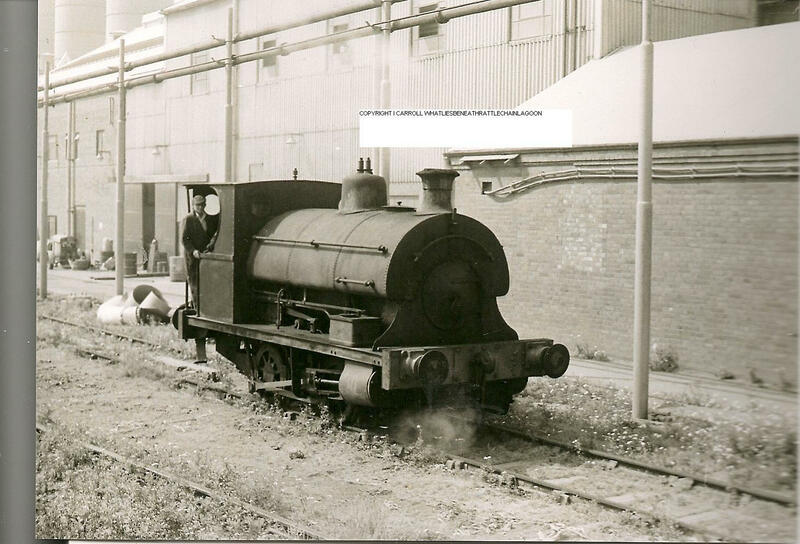 Alterations were made during the First World war and the private siding was updated during the second at “MOS Factory Oldbury.” The original estimated cost was £6,875. This picture from the 1960’s shows a Pecket train engine on the line with the phosphorus acid towers in the background to the top left. 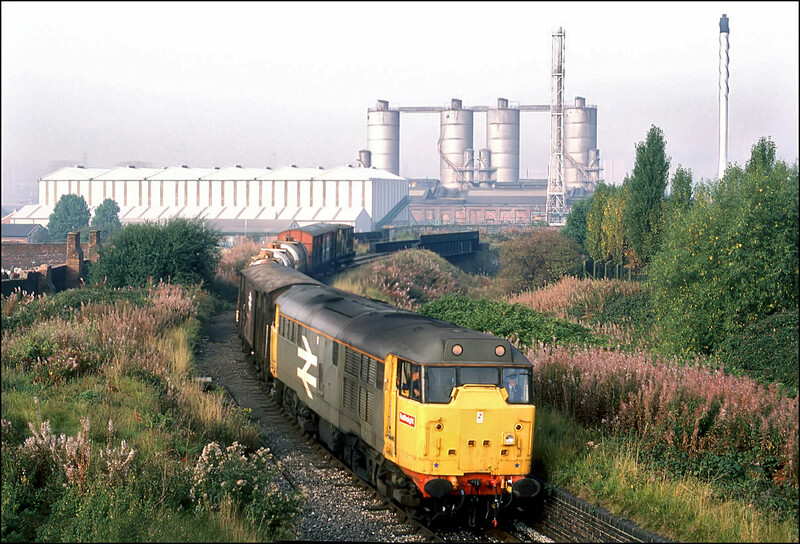 The article explains that a £240,000 project to relay the line, half provided for under the 1974 Railways Act by the Government grant from the Department of Transport would allow the continuation of chemicals like chlorine and caustic soda to continue by rail. The delivery of chlorine into the works is described in a Hazardous substance consent application HS/008 applied for in 1992. From issue 1 of Albright World 1991 there is a small reference to an incident “The fire in a rail siding at the factory early in December was due to a substantial leak from a rail car containing phosphorus.” Rail deliveries of chlorine and phosphorus continued until the mid 1990’s with the last chlorine delivery made in December 1995. 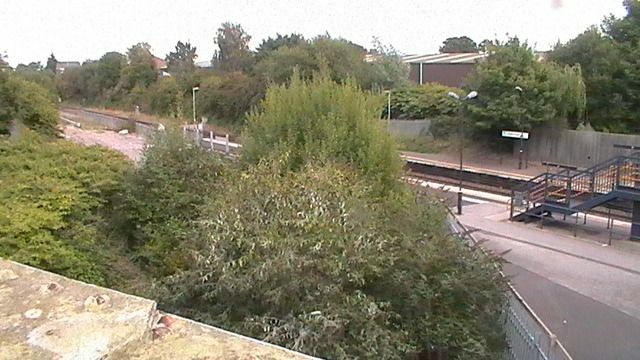 A strking picture of empty Chlorine tankers departing Langley Green Station from Albright and Wilson can be seen HERE. 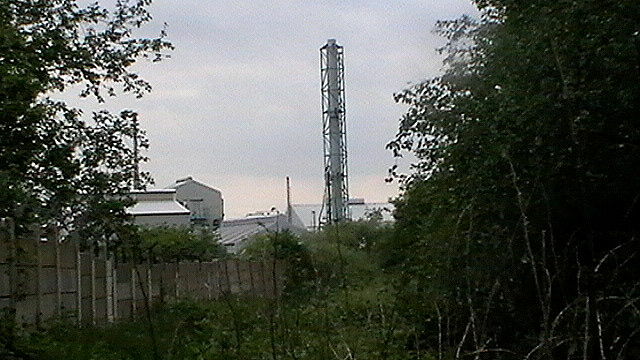 Note the large phosphoric acid towers which are now no longer there. The line is now another derelict artefact of the company’s toxic waste carrying legacy. Langley Green Station and the spur which fed into the private sidings of Albright and Wilson. It is interesting to learn that a chlorine is used in the manufacturing process. My father , who observed the Matty boats on the canals recalls “a smell similar tot hat in a swimming pool”.